Monitor services and keep your audience informed of status changes automatically with a status page powered by Hund. Hund provides a variety of integrations for automatically notifying your audience whenever service statuses change. With notifier subscription controls, you may curate your subscribers: adding, deleting, and modifying them as you see fit. Choose what subscribers listen to, or leave it up to them. With Hund, your status page can be both manually and automatically updated when problems arise. 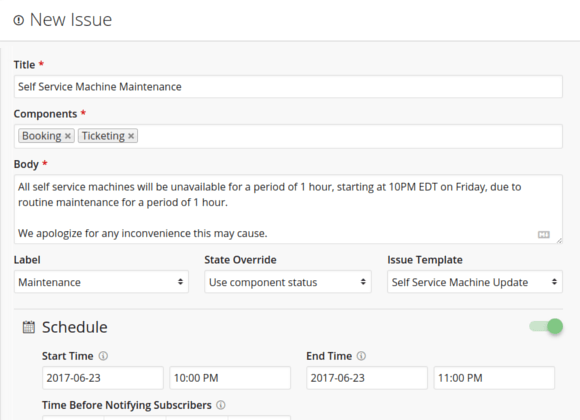 Create issues to give your audience a comprehensive explanation of downtime, maintenance, etc. from start to finish. Optionally override the automatic state of an issue’s affected components for even greater flexibility. Hund's in-house monitoring platform provides automatic updates for any ICMP-enabled server, HTTP/S endpoint, TCP/UDP port, or DNS query. 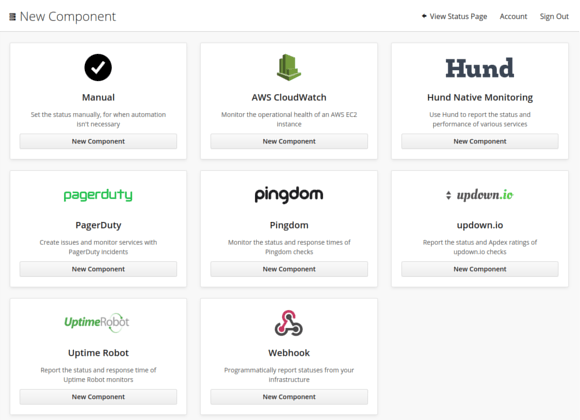 Leverage a supported third-party monitor such as AWS CloudWatch, PagerDuty, Pingdom, and New Relic; or, build your own monitors using our Webhook integration, complete with an optional dead-man switch for reporting downtime when you cannot. 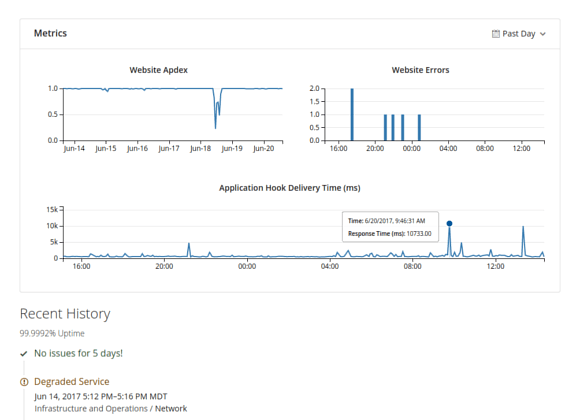 Metrics help provide insight into the performance of your services, whether it be a response time, Apdex rating, uptime percentage, incident bar graph, or anything else. 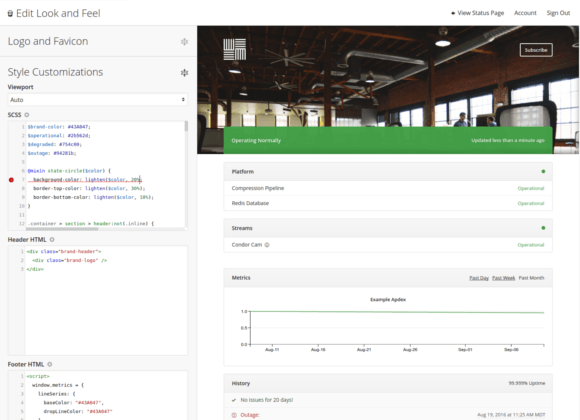 We support shipping custom metrics in addition to importing metrics from third-party services. By periodically backfilling metrics, your data maintains maximum consistency. Using our design tools, you can customize your status page to adhere to your brand identity. We support custom HTML and CSS, including support for Liquid markup and your favorite CSS preprocessors. A custom domain provides your users with a recognizable and trustworthy experience. Enabling HTTPS on your custom domain is instant, free, and automatic — as it should be. Our self-healing infrastructure is distributed across multiple AWS regions and availability zones. We run critical services in isolation. Should the worst happen, we have taken extensive measures to prevent data loss by always keeping up-to-date cold and remote backups. We use our product to monitor all of our infrastructure. 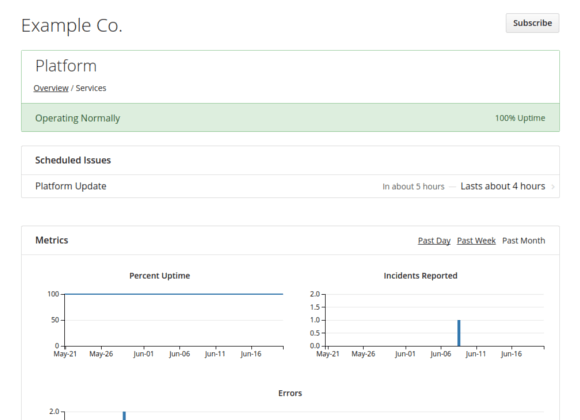 You can view our historical uptime for yourself on our status page. Hund performs millions of status checks weekly for organizations across the globe. Leading universities, Fortune 500s, and small businesses entrust our platform to detect service disruptions immediately. 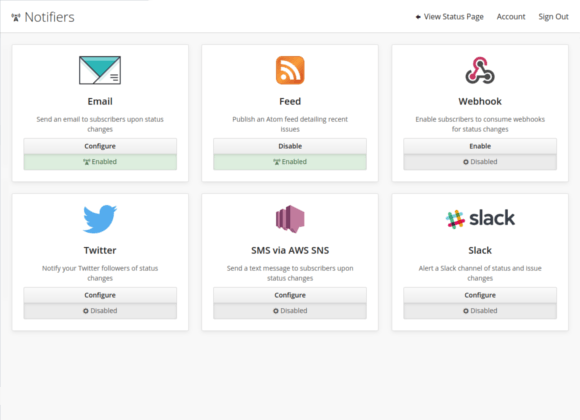 We host a status page where your users or team can check your service status and subscribe to notifications instead of contacting support. Subscribers are notified when services they care about are disrupted. Are your support staff repeating the same outage and restoration information to every support inquiry during an outage? Let Hund notify your customers about downtime instead, and free up your staff to handle important issues.